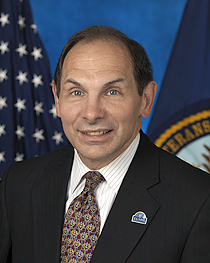 Veterans Affairs Secretary Robert McDonald has admitted that he lied about serving in the special operations forces in a conversation with a homeless veteran that was caught on camera earlier this year. This would be the same VA secretary whose team tried unsuccessfully to destroy U.S. Rep. Mike Coffman’s reputation through a whisper campaign claiming the Coloradan was not a combat veteran. According to the Huffington Post, while McDonald was formally recognized as a graduate of Ranger School, he never actually served in a Ranger battalion or other special operations unit. McDonald told the Huffington Post that he had “reacted spontaneously and … wrongly” in response to the homeless man’s claim. “As I thought about it later, I knew that this was wrong,”McDonald said of his false statement. There is no greater sin among veterans than lying about one’s service, and McDonald has committed the granddaddy of them all, destroying his reputation in less than seven months on the job. McDonald was appointed by Obama to restore credibility to an agency already crippled by scandal. He has failed that mission on a majestic scale of fabrication, and should be replaced. But we aren’t holding our breath. During a press conference this afternoon, McDonald said his misrepresentation happened while misspeaking with a homeless veteran, with whom he was trying to find common ground. Cause you know, homeless veterans are always exaggerating their creds. McDonald balked when asked if he should resign, and the media are following his lead. As one anchor said, it’s not so much a scandal as a joke in Washington. What a coincidence, we consider him a joke out here, too. This is how and by whom the ACA will be run if the Supremes don't kill it. He is missing integrity! Without that you are a failure in life! He should step down now! a Lie is a lie!